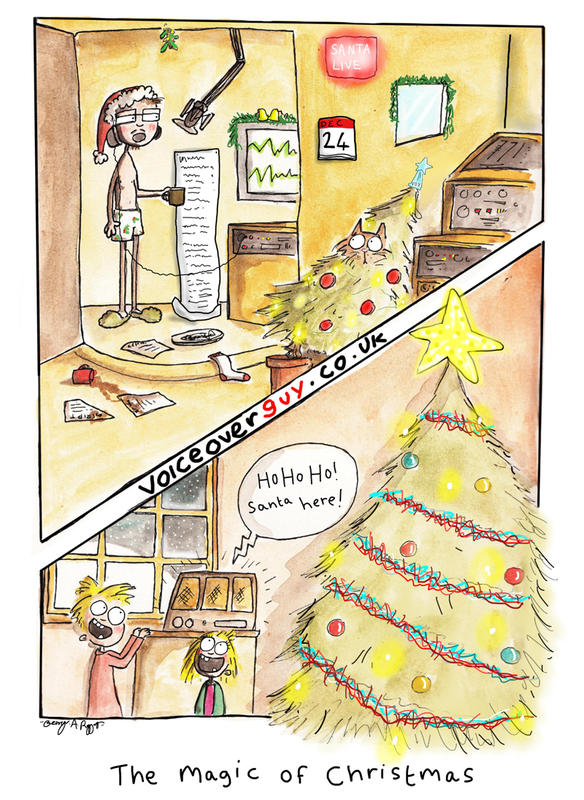 Welcome to the UK’s busiest Voice of Santa Guy Harris. With 19 years on air radio experience, Guy naturally interacts as Santa with adults and kids a like. With prestigious clients globally you are in safe hands. Enjoying the association with BBC as Radio 1 & 1-Xtra’s Santa. Chatting with children on BBC Radio 2, heard on the Heart radio network and dozens of other radio stations around the UK and globally who use Guy’s Santa Voice. 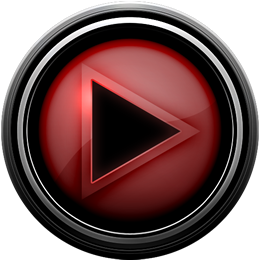 Guy Harris is based in the UK and can self direct or be directed by ISDN, Source Connect Now, Phone Patch, IP-DTL or Skype. Guy is available everyday until Christmas. 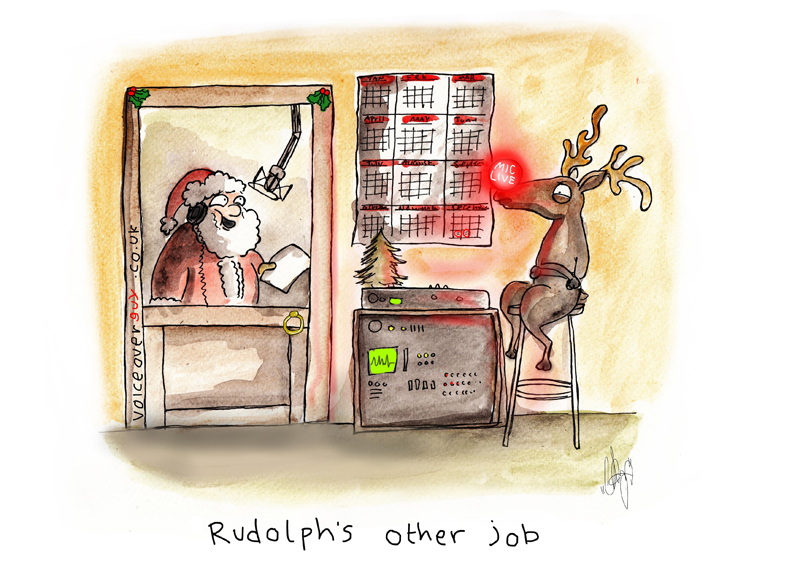 It’s a busy time as a Santa voice amongst the mix of regular Television, web & radio work. You will have heard Guy in action maybe without even knowing it. 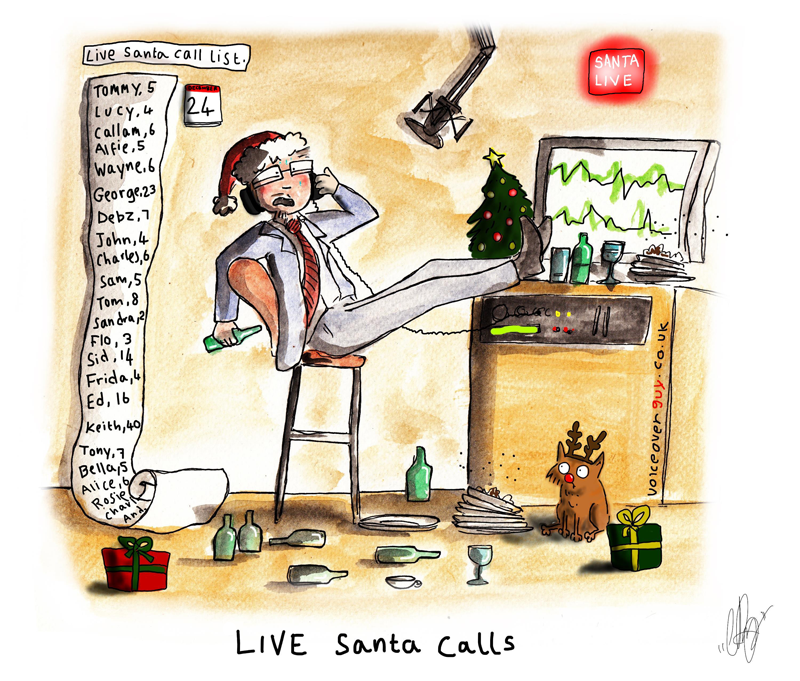 Not only a busy Santa, he can clock up 20+ voice session daily. Click here or a Full biography on Guy! Guy won the BEST Male Voiceover at the VOX Awards in 2011 & 2014 and a finalist for 3 awards at the Voice Arts Awards held in Hollywood, USA 2015. 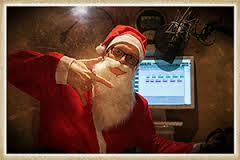 Please check out the audio from Guy on the demo page to hear Guy in action as the voice of Santa. Santa Voiceover Get in touch with Guy Harris now. Click to book a Santa session. Copyrights © 2018 All Rights Reserved by Santa Guy.